Decentralized vehicle rentals inspired the open-source blockchain IoT project, from which the utility coin Motoro has emerged. In the foreseeable future, the public smart contracts described below will be accessible through distributed app (ĐApp) interfaces. The startup VIKING GARAGE already provides access to better motorcycle rentals in Europe and Southeast Asia. The stories witnessed there have been driving the research and development of an open protocol for peer-to-peer motorized machine rentals through blockchain technology. The flip side is brighter. We now have technology that allows us to quickly shape our world. We create new levels of abstractions over yesterday’s technology and leverage many existing machines in ways unimagined by their creators. Following a deep dive into two of the hottest contemporary technologies—blockchain and IoT—ideas emerge with the potential for significant social and economic impact. The kind of impact that would create a million jobs. But what kinds of practical blockchain IoT use cases are there that could achieve this within the transportation industry? Trusted authorities are thus needed to validate the incoming information from outside the blockchain and feed it with data. That role was filled by services called oracles, the most popular of them being Oraclize. Some decentralization can be achieved by referring to groups of oracles, like Oraclize does. But the current state of technology leaves one wanting better solutions. For example, what if the rental machines themselves could replace oracles? Identification of the machines has the strongest effect when the binding is expressed on both the software side (blockchain) and the hardware side (embedded IoT systems). The cyber-physical network would consist of microcontrollers, connected to machines’ modules, like the onboard diagnostics (e.g., OBD-II) connectors, or the engine control units (ECUs). Those microcontrollers would provide the data to the smart contracts, used for identifying the machines. They would thus become hardware oracles. Market changes: A worldwide rise in private motorcycle rentals and general use of motorcycles, and a drop in motorcycle sales. Quality of life improvement for motorcycle owners and riders: The biggest effect will be visible in Southeast Asia, due to the leveling of worldwide prices due to the common denominator, Motoro. Scaling to other areas: Motoro being used in other machine sharing economies and being integrated with IoT technology. 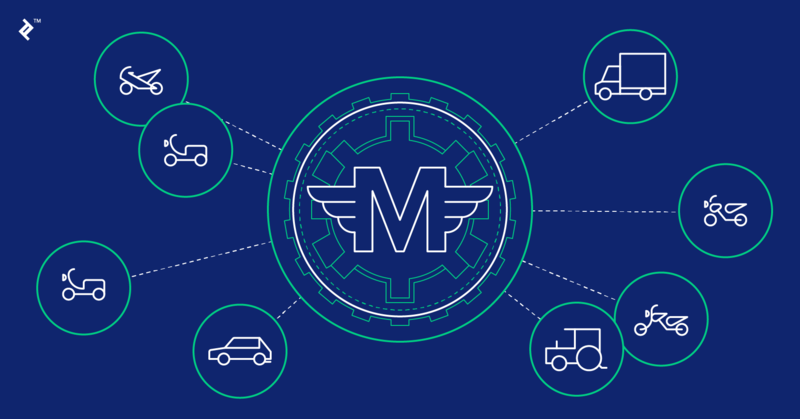 Profitable asset for investment: Motoro is a standard utility coin, designed for direct vehicle rentals. It can also be used for the paying for rentals through VIKING GARAGE, and other vehicle sharing economies to come, everywhere in the world. The more people rely on the decentralized vehicle rental currency, the more worth the coin will have. If you are interested in participating in this global movement, encompassing IoT and blockchain, there are many ways to do so right away. You can contribute to our open source projects at GitHub. 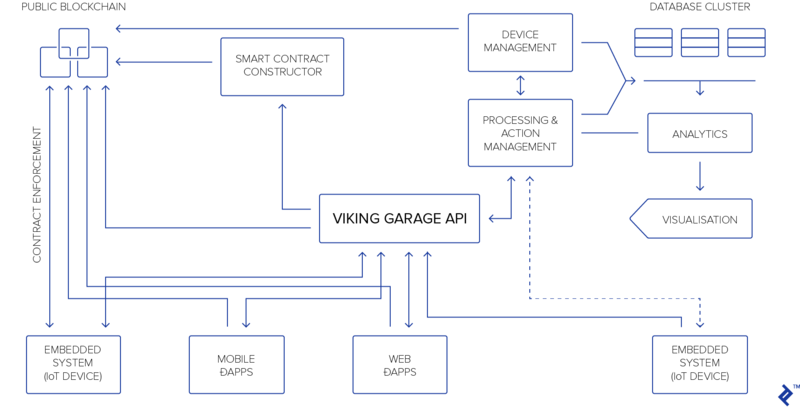 Another way is to start using VIKING GARAGE, as a rider or machine owner. Finally, you are most welcome to join us at one of our Toptal Community events—blockchain IoT workshops—at Campus Warsaw (the Google Space) in Poland, where we discuss and plan Motoro’s further evolution. For that, simply search for Toptal on their events page. People of all skill levels are welcome as we learn together and create open-source blockchain-powered IoT solutions! Ethereum is a public blockchain and virtual machine. It is a network of people for making direct transactions. Ethereum’s decentralized algorithms facilitate consensus, and all transactions get stored in immutable blocks. A database on a user’s machine, the ledger for all transactions on the network, stored in unchangeable blocks, can be referred to as “the” blockchain, in specific contexts. Decentralized blockchains like Ethereum or Bitcoin expand the technology to networks. Every user retains a copy of it. Blockchains store transactions in sequentially linked datasets called blocks, locally on every user’s machine. Users connect over a network, and achieve consensus on a single history of transactions without relying on a third party, but instead on the community, using trustless distributed algorithms. Ether was the first currency of Ethereum blockchain. It is handled natively by the system, and “ether tokens” differ from current standard ERC-20 “Ethereum tokens.” In general, tokens represent assets, e.g. cryptocurrency, a service, or a connected physical object. In other words, they represent value. Smart contracts are programs executed by a blockchain’s virtual machine. They receive a network address, just like other users. They are used to process and document arbitrary agreements and transactions. Smart contracts constitute the blockchain side of decentralized applications. What is the DApps method? Decentralized applications are apps that connect to the blockchain. They can have various front-end interfaces, e.g., web or native. Through the interface, users interact with smart contracts used in the DApp. You can think of smart contracts as a back-end for DApps, with the blockchain being the data store. What is IoT in simple terms? Internet of Things (IoT) is a term to refer to physical devices that can be identified and communicate over the internet, but which serve another primary role, e.g., smart home systems, connected machines, and vehicles. IoT also includes the software systems used for managing the devices.